DENVER, October 3, 2018 – Science Interactive Group, a provider of science, technology, engineering and math (“STEM”) products to the K-12 and higher education markets and a portfolio company of Millpond Equity Partners and Wasena Capital Management, has announced the appointment of Timothy Loomer as its new CEO. Tim brings to Science Interactive Group more than 20 years of experience in executive management, technology development, investing, consulting and policy in the education industry and is a well-known executive leader in the sector. 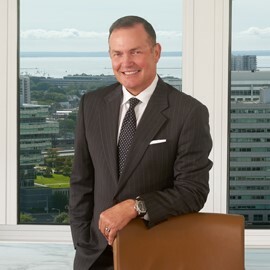 Earlier in his career, Tim served as CEO of Campus Management, an administrative platform provider to the higher education sector, and Scantron Corporation, an assessment platform provider to the K-12 sector. Most recently, Tim served as an investment banker and advisor at Tyton Partners, an M&A advisory firm focused on the educational sector. Science Interactive Group is a leading provider of educational products for the STEM market with a strong product offering, market-leading brands and a customer service platform with the ability to serve the evolving needs of the market. I am excited by the opportunity to drive growth via product line extensions and strategic acquisitions. “Since forming Science Interactive Group through the merger of two leading STEM product providers, we have created a platform poised to benefit from the leadership Tim provides. We have a long relationship with Tim and look forward to working with him to accelerate the execution of the company’s strategies,” added Jeff Tobin, Millpond Equity partner and Educational Products Holdings chairman. Tim is a graduate of the University of Washington and the Stanford University Graduate School of Business. Science Interactive Group is a science products, curriculum and services company with a broad portfolio of products operating with two divisions: Science First and Hands-On Labs. Founded in 1994 in Denver, Colorado, Hands-On Labs (“HOL”) is a leading provider of comprehensive lab kits and science curriculum to the higher education distance learning market. HOL has become the brand of choice for educators seeking to provide cutting-edge science kits and a hands-on experience to enrich student learning, improve engagement and enhance outcomes. For more information, please visit holscience.com/. Founded in Buffalo, New York, Science First is a leading designer and manufacturer of science education equipment, environmental sampling equipment and portable planetariums. Originally founded by college physics instructor Frank Lee in 1960, the company has a long history of serving the K-12 and higher education science markets and was operated for many years by Frank and his family. The company has made numerous acquisitions which have helped to diversify its product offering and better execute on its mission, including Starlab®, The Science Source and Wildlife Supply Company®. Science First has a long history of offering high-quality products to educators to enrich the experience of learning science. For more information, please visit sciencefirst.com. Wasena Capital Management is a private equity firm focused on the investment in growth-oriented businesses with between $7.5 million and $100 million in revenues. Based in Stuart, Florida, Wasena focuses on investing in strong, profitable businesses either seeking a financial and strategic partner that can assist in achieving growth-oriented goals or majority owners looking to monetize their equity positions. Its industry focus includes manufacturing, value-added distribution, healthcare services and business service companies. For more information, please visit wasenacapital.com/. Millpond Equity Partners is a private equity firm focused on investing in lower middle market, growth-oriented business services companies. Headquartered in Boca Raton, Florida, the Millpond leadership team has nearly 60 years of combined private equity and operating experience, deep industry expertise and a long track record of growing businesses and creating value alongside management teams. Millpond combines a partnership approach with extensive hands-on operational and investment management experience. Its experienced investment professionals work hand-in-hand with leaders of healthy and growing businesses, providing strategic guidance, resources and support while assisting those companies through their next phase of growth. For more information, visit millpondequity.com.